If you are looking for arguably the easiest soup to make or you are just another vegetarian in the house, Super Quick and Easy Vegetable Soup is the meal for you. It does not require extensive cooking skills and it is very easy to make and with very little help, you can easily cook this soup at your home in an hour. It is easy, tasty and not to mention nutritious. Take a large sauce pot that can hold a large amount of soup because let’s face it; you do not want to stand in the kitchen for an hour and cook soup for two or three people. This recipe is for 8 to 10 servings and hence the utensils should be accordingly. Put some olive oil to the pot and add onion to it and let it cook until it is tender. It will only take two to three minutes over a medium heat. Add diced tomatoes to it and if you want more tomato-based paste, pour the tomatoes in a blender for about 30 seconds. Now add basic vegetables to it but make sure that all the vegetable are separated. If you are using frozen vegetables, pound them lightly for few seconds to break the chunks and then add them to the pot. Add any more optional ingredients that you want but be careful in what you choose. When there is nothing more to add, add six cups of water to the pot and make sure that all the ingredients are completely dipped in the water. According to your taste, add salt and pepper to the mixture. Now let it simmer on low heat for around 45 minutes to an hour. 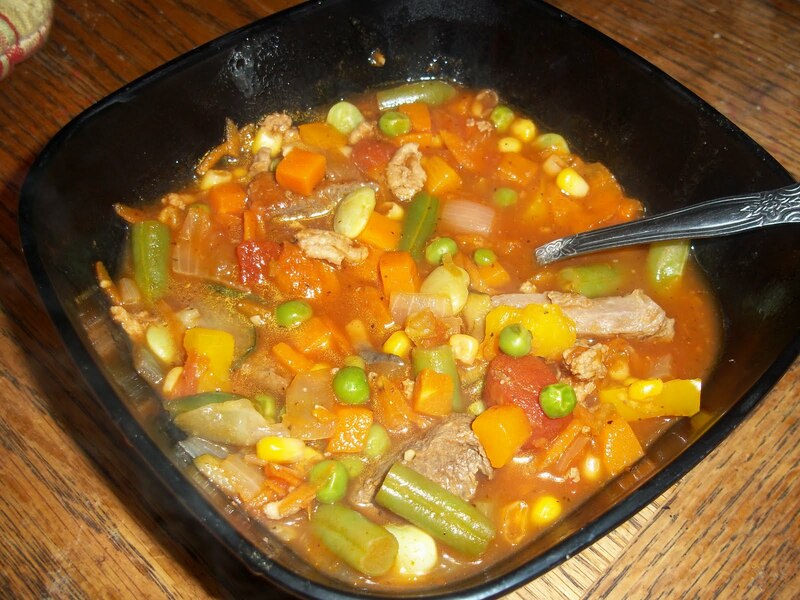 Enjoy the Super Quick and Easy Vegetable Soup. 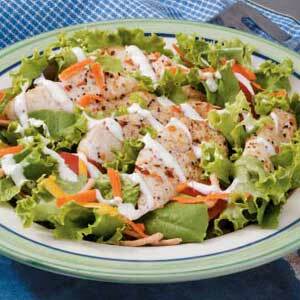 Time to make a chicken salad to complete your mid-day meal along with a vegetable soup.